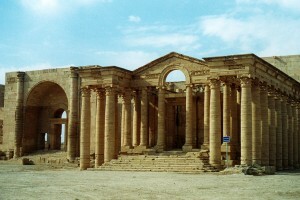 Why is it that ISIS continues to destroy all record of the past? “All attacks on archaeological sites and artifacts are brutal assaults on our collective human memory,” says Sturt Manning of CNN. “They deprive us of the evidence of human endeavors and achievements” So what is the incentive? The goal of ISIS is to reform the region into a single homogeneous Muslim caliphate under its control and destroy any contradicting information of the past – a fairly typical tactic carried out in mass genocide. According to some Iraqi archaeologists, Mosul Museum, a major target of ISIS, has the majority of Iraq’s archaeological wealth, with more than 3,500 sites, including centuries-old religious and historic sites. New videos and images are constantly being released, reminding us of the horror taking place in the middle east. Sometimes it feels hopeless. What could we possibly provide to help better the situation? Technology. According the the NY Post, experts are using crowdsourced images and 3D printing technology in an attempt to recreate ancient artifacts destroyed by ISIS in the Iraqi city of Mosul. Project Mosul, part of the European Union-funded Initial Training Network for Digital Cultural Heritage, is calling on volunteers for help in restoring the museum’s devastated historical artifacts.